Superior in design, performance and features. Download it to try a demo. 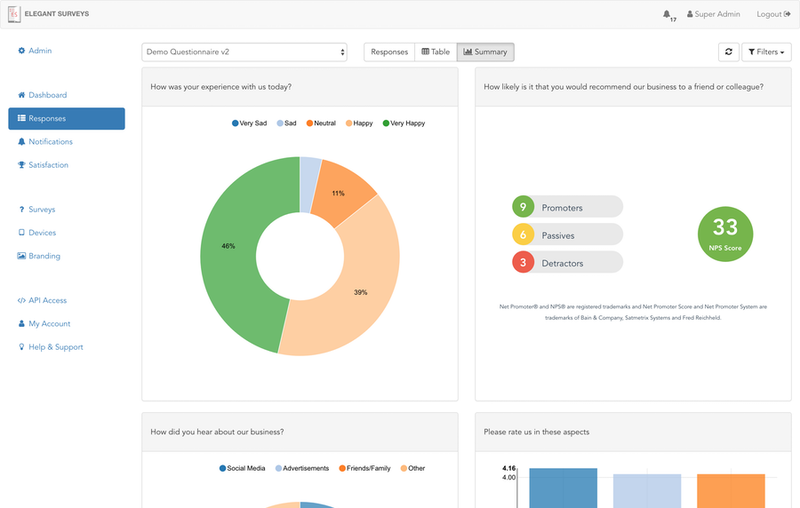 Elegant Surveys is designed to make it easier for you to collect and analyze feedback. Our UX experts have worked hard on building a product that is powerful and easy to use. 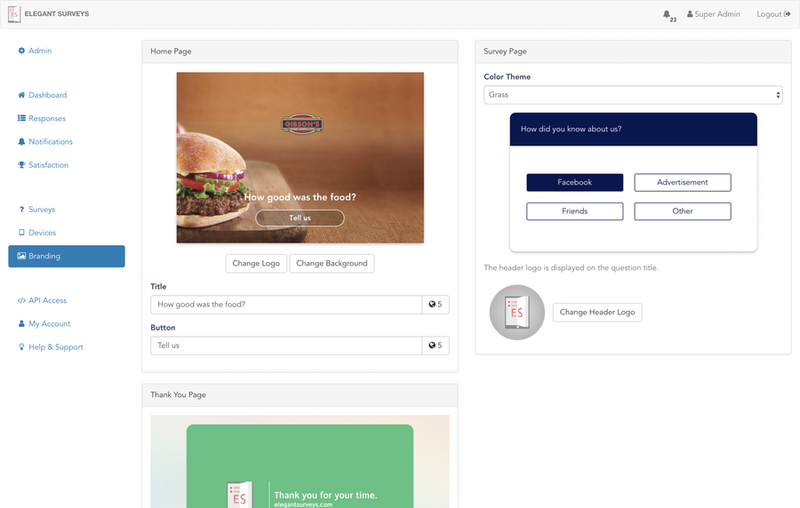 Customize the application to show your brand and match your corporate theme. 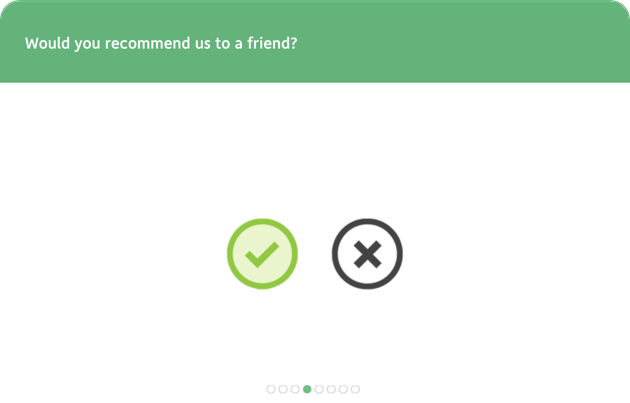 Build your survey the way it should be. With a wide range of question types, we have you covered for all your needs. 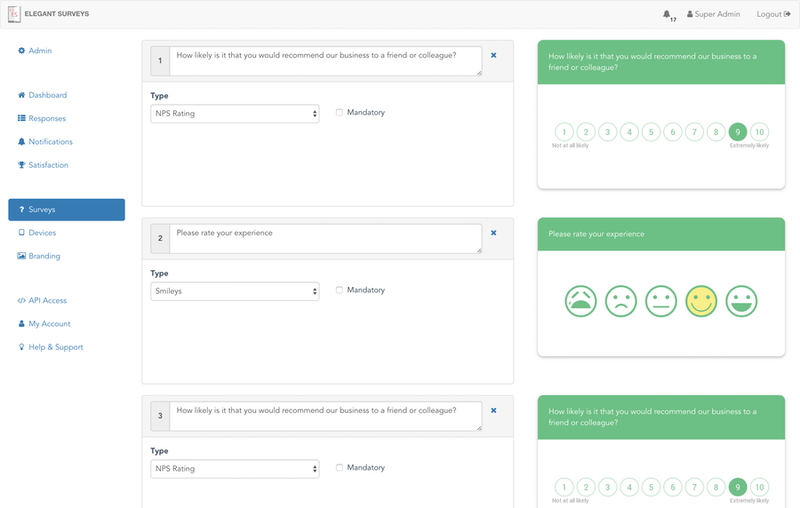 Analyze customer responses quickly with our instant reporting tools. You can also view individual responses and comments. 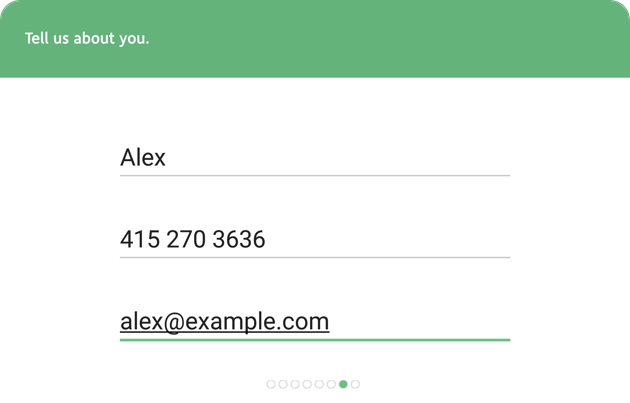 Set up instant email notifications when a customer response matches predefined criterions. Our application works seamlessly on Android and iOS tablets and supports unlimited number of devices. Craftsmanship at its best. Built to please. 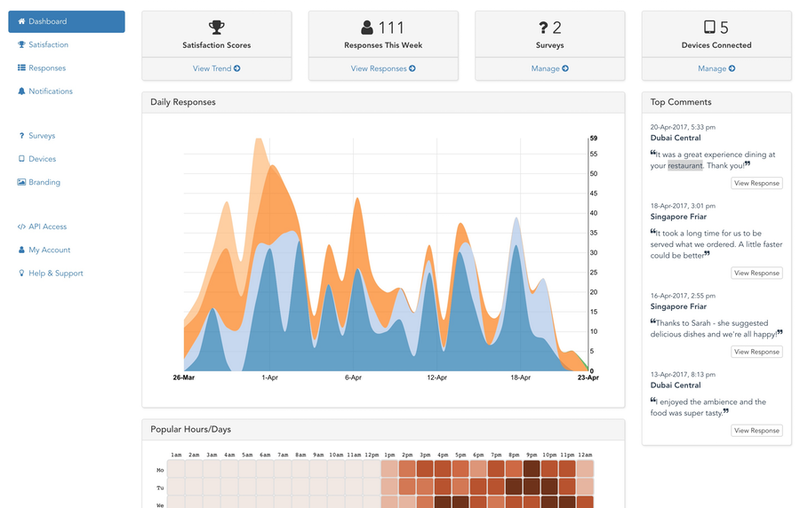 Take a look at the feedback collection application without even creating an account. 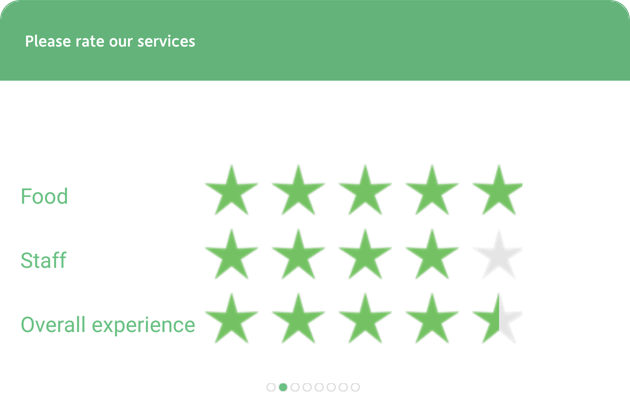 We're happy to help you get started with Elegant Surveys anytime.